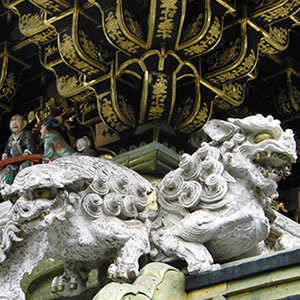 The largest festival held at Nikko Toshogu Shrine in the historic area of Nikko. This event takes place in spring and autumn. The highlight is Yabusame Horseback Archery put on at the approach to the Toshogu Shrine and the Samurai parade. Yabusame is the art of shooting arrows on horseback, performed as a traditional ceremony that derives from horse riding exercises for Samurai warriors date back 900 years. A large parade of people in various Samurai costumes, solemnly walking in procession.